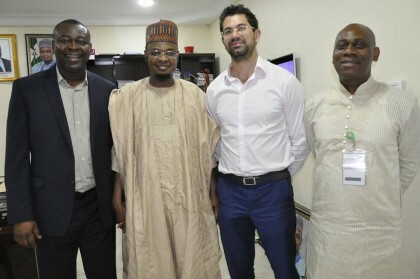 NITDA, Abuja: National Information Technology Development Agency will continue to work with relevant stakeholders to help in monitoring breakthrough, tracking communication established by participation in International events, the Director General NITDA, Dr Isa Ali Ibrahim Pantami has said. Pantami made this known when Mr Bilal AlRais, Business Manager of Dubai World Trade Centre and Mr Akande Ojo, CEO of Pinnacle International Consulting, LLC paid a courtesy visit to the Agency’s Corporate Headquarters in Abuja to foster on existing partnership on Nigerian’s participation in 2017 Gulf Information Technology Exhibition Conference (GITEX). Al Rais, earlier wooed NITDA to participate in the upcoming Gulf Information Security exhibition Conference (GISEC). He revealed that GISEC is an expected gathering of 6,000 IOT, security and big data professionals. Pinnacle International Consulting is the sole West African representatives of DWTC, organisers of Gitex technology week.